The design expresses the concept of ‘Reaching out – letting in’, taken from the qualities of the Princess of Wales that were most loved; her inclusiveness and accessibility. 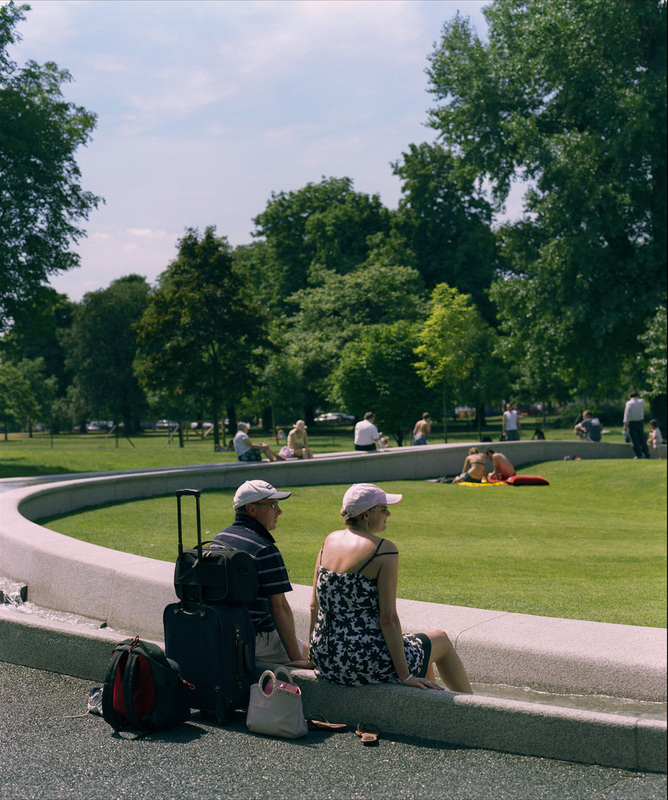 The fountain’s sculptural form is integrated into the natural slope of land in London’s Hyde Park and is designed to radiate energy as well as draw people inwards. A popular place for visitors to engage with the water, the fountain has detailed grooves and channels which combine with air jets to animate the water and create different effects such as a 'Chadar Cascade', a 'Swoosh', 'Stepped Cascade', 'Rock and Roll' and a still basin at the bottom. The water source is located at the highest point where water bubbles come up from the base of the fountain. Approximately 100 litres per second of water is pumped up hill from a storage tank in front of the refurbished plant room beside the Serpentine. Dividing at the top, the fountain uses the topography to divert the water downhill in two streams to form a still, reflective basin. 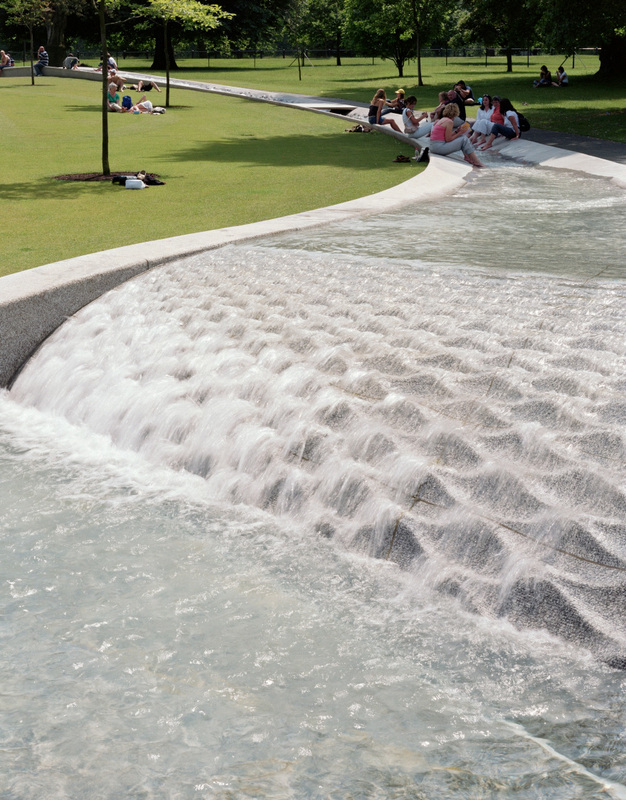 Designed and cut using ground-breaking digital technology, the fountain is made from 545 pieces of Cornish granite. The design appears as a light-coloured ring which contrasts with the surrounding meadow area and planting. Is it by chance or design that Kathryn Gustafson and Neil Porter appear to have designed a near perfect metaphor for the life of Diana?